When I was starting out, I remember seeing all those amazing lettering accounts on Instagram with huge followings and thinking I would definitely never get there. It can be so incredibly daunting when you follow hundreds of gorgeous lettering/calligraphy profiles and yours only has 5 lame beginner posts. But guess what? All of those incredible feeds started with their own 5 lame posts. One of the most encouraging things to do on Instagram (although, admittedly, it’s pretty creepy) is to find an artist you love, and scroll waaaaaaay back on their feed. Check out their first 5 posts. To save you some time, here’s a screenshot of my first ever post. Look at that lighting! Every single one of the pros you follow started somewhere, just like you are. But hopefully these tips can help you jump past the mistakes I made. In the past year I’ve grown my following from 0 to almost 50k- which, like I said, I never thought would happen. So, I’ve pinpointed a couple things that helped me get there- because I want it to help you, too. 1. Separate your personal account from your calligraphy/lettering account. Firstly, your calligraphy & lettering account should be just that- calligraphy & lettering. You can share the odd photo of yourself, because it’s good to show behind the scenes, but DO NOT post personal things- what you had for breakfast, your dog, or your gym selfie. Save that for your personal account. Secondly, chances are, a lot of your personal followers don’t care about your love of lettering/calligraphy (yet). So separate it and avoid being annoying. 2. Practice- and post about it! If you’re just starting out, chances are that most of what you’re working on is practice (as opposed to finished products). It is totally fine to post your practice- in fact, there are groups that are geared to JUST THAT. You do not need to be posting perfectly curated photos of beautiful products, if that’s not where you’re at. Just be real! 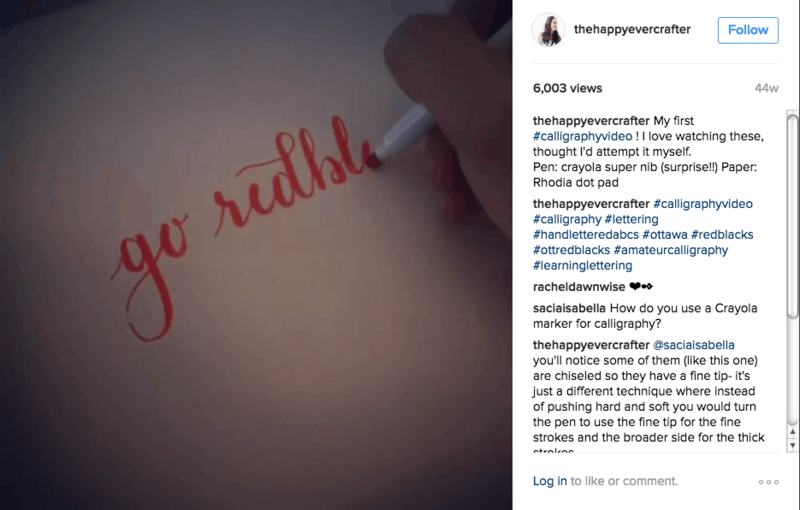 Post a photo of what you’re working on, and add relevant hashtags to it- things like #postyourpractice, #practicemakesperfect and #learncalligraphy. Then troll those hashtags, and find others who are at the same point you are. Which brings me to my next point. 3. Connect with people who are doing the same things. Do not be afraid to reach out to others. Learn from each other. Ask as many questions as you can. If you see someone else posting their practice, encourage them! Find a resource recently that you think might help them out, too? Share it with them! Connecting personally with others is one of the biggest ways to increase your following. Everyone appreciates a nice comment on their work. And in turn, they’ll comment back on yours. The more you spread the love, the more it’ll come back to you. A comment as simple as “love this! keep it up!” can go a really, really long way. The only way to get past the ‘5 lame photos’ at the beginning is to just keep going. Commit to posting regularly. It’s just realistic that you won’t get many likes/comments on your work until you’ve gathered some more followers. 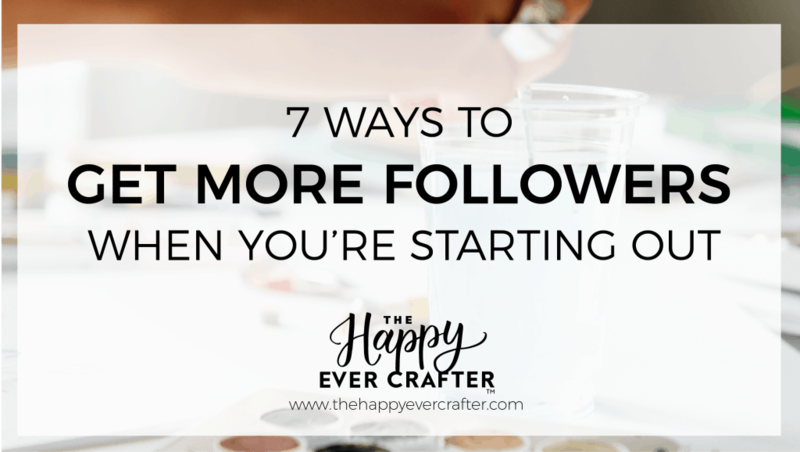 But to get more followers, you need more content. So create it! -Set your phone’s camera layout to ‘square’, so it’s optimized for Instagram without any effort. -Take advantage of natural light as much as possible- or at least get a good, bright light that you can point onto your subject. -Take advantage of free apps for photo editing. I use VSCO. Put every photo in there, and play with the brightness, contrast, highlights and shadows. -Use a tripod for your videos. There is nothing worse than a shaky video. (Your tripod does not have to be professional. I use one of those car mount smartphone holders that suctions to your dash- and I suction it to my desk! Simple, and cheap). -Use Hyperlapse. Although Instagram now allows you a full 60-second video, we live in an age where realistically, people get bored really fast. In my experience, setting something to 6x speed gets the most likes. Don’t ask me why. Here are some of my go-to’s. Only use hashtags that are relevant to your content. Don’t use hashtags that don’t apply to your post- people are more likely to find that annoying than useful. Bonus tip: Once you’ve been around the scene for a while, try and identify where there’s a gap in the market. Find something people are missing, and be the one to create it. When Emma (@blackchalkco) and I created the Letter Archive (@letterarchive), it helped people who needed to find different ways of drawing letters. And when we helped others, we both saw a huge spike in followers! Have a question about anything here? Or do you just want to try out Tip #2? Leave me a comment below! OMG I love this! So looking forward to checking out your amazing account and creating my own one!